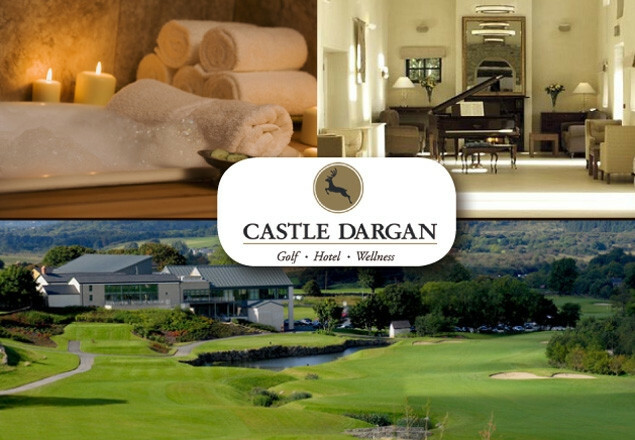 2 night stay at the Castle Dargan Hotel for two including dinner, golf, spa treatment & extras. Escape with a loved one or friend with a luxurious two night package for 2 at the only 4 start Resort in Connaught, the Castle Dargan Hotel, Sligo. This brimful, unbeatable exclusive offer to Rewarding Times includes two nights accommodation with full Irish breakfast each morning and a complimentary copy of The Irish Times. A three course evening meal in their restaurant on an evening of your choice. A complimentary chilled bottled of Prosecco and chocolate truffles in your room on arrival. VIP Spa passes for the Elemis Icon Spa. Choice from a round of Golf on our 18 hole championship golf course designed by Darren Clarke or a Treatment in their Icon Spa which includes a Balneotherapy Bath or Dry Float Relaxer. Plus enjoy a Lazy Day check out up to 2pm. Castle Dargan Hotel is set on 170 Acres of rolling parkland in a magnificent country setting on the North West Coast of Ireland, just 8 minutes from Sligo city centre. Castle Dargan also includes a championship golf course designed by Open Champion Darren Clarke. For off the course relaxation, Icon Spa at Castle Dargan presents panoramic views of the golf course and surrounding Sligo countryside from the relaxation suite. The facilities, products and treatments of our Sligo Hotel are carefully selected to bring you on an exploration, which will be a complete sensory delight. Castle Dargan Hotel Sligo offers guests a range of luxury 4 star hotel accommodation. Stay an extra night for only €50 per room. Offer valid until the October 31st 2012. Lazy day check out not available on Saturdays plus some other dates to be specified on check-in. Two people can either play one round of golf or have one spa treatment each. Alternatively, one person can play golf and one person can enjoy the spa treatment. Spa treatment is limited to Balneotherapy Bath or a Dry Float Relaxer. If you wish to stay an extra night, you can pay the €50 per room on check in.